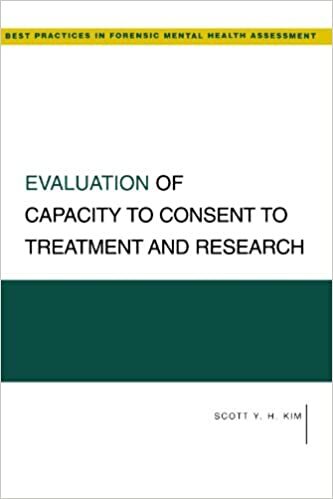 Evaluation of Capacity to Consent to Treatment and Research (Oxford 2010) provides an overview of an increasingly discussed topic in modern medicine, the assessment of persons at risk for decisional incapacity due to medical or neuropsychiatric conditions. I tried to write a book that provides a theoretical/normative framework while also being very practical. The book was translated into Japanese in 2015.